Two San Diego County residents have claimed winning California Lottery Scratcher tickets, lottery officials announced Friday. Gabriella Ralda won $750,000 before taxes from a Mystery Crossword Scratcher ticket, according to the state Lottery. Ralda purchased her winning ticket from a Chula Vista 7-Eleven at 1482 Hilltop Drive. Jeremiah de los Reyes also claimed his prize after winning $1 million before taxes on a Holiday Sparkle Scratcher ticket. He also purchased his ticket from a 7-Eleven, this one in downtown San Diego at 1469 State St. 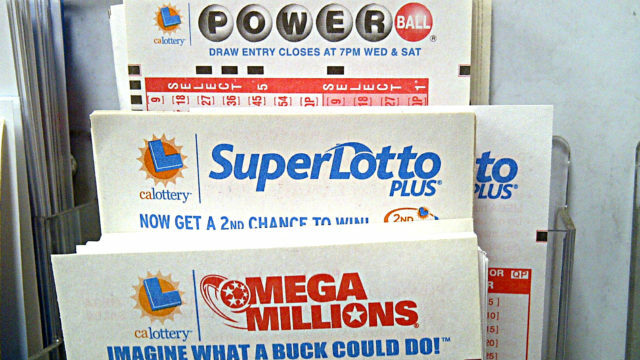 The convenience store will receive $5,000 for selling the ticket, according to the state Lottery. The store’s portion is not subtracted from de los Reyes’ total winnings. The lottery generated almost $7 billion in sales during fiscal year 2017-2018, $1.7 billion of which was used to help fund the state’s public school system.